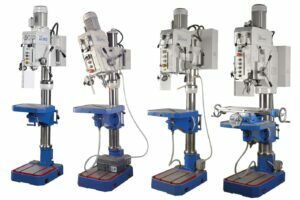 You could be forgiven for thinking that a pillar drill might be one of the less impressive machines to grace a workshop floor, used often and relied on daily, the pillar drill can be one of those machines that is easily taken for granted. Yet it’s for those very reasons why the Meyer range is so popular. Over many years Meyer geared-head pillar drills have become known for the sheer quality and robust nature of their design and build, few other machines enjoy such a reputation; for heavy duty construction, long service life and reliability. You really can rely on them daily and take them for granted – that they will produce the best results time and time again. 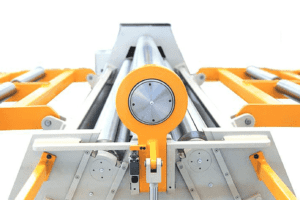 At Selmach, we are proud to offer a range of Meyer pillar drills to suit a wide variety of needs, each brings something unique to the table but all share the same ethos of solid build, quality components and intelligent design. The range begins with the SR25 415v geared head drill, the geared head takes care of precision drilling across 6 speeds, from 125-2825 rpm to a capacity of 25mm, while the large work table and low-voltage lamp offer convenience as well as impressive power and exceptionally heavy construction in a machine that is anything but ‘entry level’. A larger 32mm capacity, two speed gearbox and around 70kg more weight than the SR25, gives the SR32 415v geared head drilling machine an even more heavy-duty feel. The SR32 features a coolant system and tilting work table of 500 x 420mm, as well as a tilting head (both +/- 45°) giving the option of drilling horizontally, as well as vertically. The SR32 can also perform bullet drilling, making it ideal for tapping thin-walled tube. 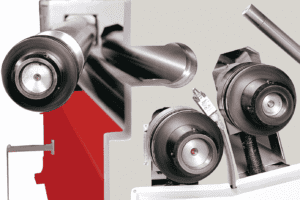 The Meyer SR32-AE comes with all the benefits of its sister model, the SR32 but with even more features; there is an automatic downfeed with electro-magnetic clutch, a digital readout for spindle speeds (ranging from 125-3030rpm)and a dedicated tapping mode which automatically disengages the power feed, protecting the precision gears. If the Meyer pillar drill range is a family, then the Meyer SR50-AE could be thought of as the Daddy, weighing in at 655kg and with an even greater capacity than the SR32. A drilling capacity of 50mm and an even larger work table of 580 x 460mm ensure that no job is too big. 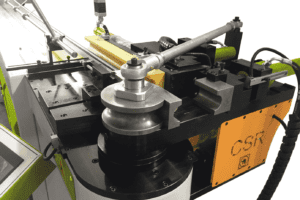 While the digital readouts for both spindle speeds and spindle strokes, combined with the geared head, powered feed and an impressive 52-1400rpm speed guarantee that precision also plays a part of this impressively heavy-duty package. Each and every Meyer pillar drill is manufactured with high quality components and assembled with the highest standards of accuracy resulting in machines that are consistently sold worldwide and always bought with confidence. To learn more about the Meyer pillar drill range, feel free to drop us a line on +44 (0)1432 346 580 or email sales@selmach.com or get in touch via our website.